Scanning electron micrograph (SEM) of T lymphocytes (green) bound to antigens on a cancer cell. More than a century ago, American bone surgeon William Coley came across the case of Fred Stein, whose aggressive cheek sarcoma had disappeared after he suffered a Streptococcus pyogenes infection following surgery to remove part of the large tumor. Seven years later, Coley tracked Stein down and found him alive, with no evidence of cancer. Amazed, Coley speculated that the immune response to the bacterial infection had played an integral role in fighting the disease, and the doctor went on to inoculate more than 10 other patients suffering from inoperable tumors with Streptococcus bacteria. Sure enough, several of those who survived the infection—and one who did not—experienced tumor reduction. Coley subsequently developed and tested the effect of injecting dead bacteria into tumors, hoping to stimulate an immune response without risking fatal infection, and found that he was able to cause complete regression of cancer in some patients with sarcoma, a type of malignant tumor often arising from bone, muscle, or fat. Unfortunately, with the increasing use of radiation treatments and the advent of systemic chemotherapy, much of Coley’s work was abandoned by the time he died in 1936. Today, however, the use of immune modulation to treat cancer is finally receiving its due. Unlike chemotherapy and radiation treatments, which directly attack cancer cells, immunotherapy agents augment the body’s normal immune machinery, increasing its ability to fight tumors. This strategy involves either introducing compounds that directly stimulate the immune cells to work harder, or introducing synthetic proteins that mimic the components of the normal immune response, thereby increasing the body’s entire immune reaction. Last year, cancer immunotherapy was named “Breakthrough of the Year” by the journal Science, placing it in the company of the first cloned mammal and the complete sequencing of the human genome. With a handful of therapies already on the market, and dozens more showing promise in all stages of clinical development, these treatments are poised to forever change the way that we approach cancer management. The human immune system orchestrates processes that continuously survey the host environment and protect it from infection. The two main components of the human immune system, the innate and adaptive arms, work together to fight infection and, importantly, to remember which pathogens the host has encountered in the past. Alerted by danger signals in the form of common microbial peptides, surface molecules, or gene sequences, innate immune cells such as macrophages and neutrophils invoke broad mechanisms to quickly fight foreign invaders. At the same time, B cells of the adaptive immune system generate a highly specific response, creating antibodies that can recognize and clear the pathogens. Antigen-specific T cells, activated by innate immune cells that have ingested the pathogen, further boost the body’s response. These B and T cells have lasting memory, allowing them to generate faster and stronger responses on subsequent exposures. In the 1960s and ’70s, Lloyd Old of the Ludwig Institute for Cancer Research at Memorial Sloan Kettering Cancer Center (MSKCC) helped rekindle interest in cancer immunotherapy research, finding, among other things, that tumor cells display different surface antigens than healthy cells. These so-called tumor-associated antigens serve as the basis for developing cancer treatment vaccines, which attempt to stimulate a tumor-specific immune response. Old’s discoveries were followed in the 1980s by the work of Steven Rosenberg at the National Institutes of Health. Rosenberg studied the use of cytokines, which normally act to stimulate the immune system, to treat cancer. More recently, the advent of immune checkpoint blockade approaches pioneered by James Allison, formerly of MSKCC and current chair of the University of Texas MD Anderson Cancer Center Department of Immunology, has written immunotherapy into the oncologist’s playbook. To ensure that the immune system does not become overactive, causing tissue damage or attacking the body, regulatory T cells (or Tregs) and myeloid-derived suppressor cells secrete anti-inflammatory proteins or directly inhibit pro-inflammatory immune cells. Additionally, immune checkpoint proteins expressed on the surface of activated immune cells serve to neutralize the immune response. Tumors may in fact exploit these very anti-inflammatory pathways, perhaps by stimulating an increase in Tregs or increased immune-checkpoint protein expression, to evade recognition by the immune system. Allison is now pioneering techniques to block these checkpoints, allowing the immune response to continue to fight the tumor unhindered. These exciting new therapies are able to prolong life in patients whose cancers were previously deemed fatal, with kidney cancer and malignant melanoma leading the pack. VACCINATING CANCER: Most cancer vaccines in development involve an injection containing a component of a tumor-specific antigen, with the goal of increasing the immune system’s tumor-specific activity. Others, such as Sipuleucel-T, involve the extraction of a patient’s antigen-presenting cells (APCs), which are cultured with antigens from the patient’s tumor along with immune-stimulating factors to prime the APCs to activate T cells in the body. Localized injection of Bacillus Calmette-Guérin (BCG), an antituberculosis vaccine made from attenuated live Mycobacterium bovis, was approved for the treatment of bladder cancer in 1990. It was the first immunotherapy approved by the US Food and Drug Administration (FDA) for the treatment of cancer. The idea that tuberculosis or BCG infection could have a role in fighting cancer was first posited in 1929 by Johns Hopkins biogerontologist Raymond Pearl, who noted a reduced incidence of cancer among patients with active tuberculosis at the time of autopsy. Old went on to demonstrate in the late 1950s that BCG injections in animal models could reduce tumor growth. Subsequent clinical work in the 1970s and ’80s found that the treatment caused regression of bladder cancers in patients given regular intralesional BCG injections and a 12-fold reduction in bladder tumor recurrence, along with decreased progression and improved survival. Twenty years after its approval, BCG remains the most effective therapy available for the treatment of non-muscle invasive bladder cancer, resulting in the eradication of cancer in 70 percent of eligible patients. The attenuated bacteria decrease tumor growth by attaching to the bladder tumor and surrounding cells and provoking the infiltration of immune cells, proinflammatory cytokine release, and eventual phagocytosis of cancerous cells by neutrophils and macrophages. While this inflammatory response is efficient at killing tumor tissue, it can also damage the healthy cells of the bladder lining, resulting in side effects that mimic a urinary tract infection, including low-grade fever and pain during urination. Researchers are now hoping to avoid the side effects of localized injections by designing novel vaccines that trigger systemic tumor-specific immune responses by binding to proteins unique to tumor cells. Unfortunately, tumor-specific vaccines have rarely demonstrated significant antitumor activity and survival benefits in humans. So far, only one vaccine of this type is on the market, Seattle-based cancer research company Dendreon’s Sipuleucel-T (or Provenge), approved by the FDA in 2010 as a last-resort treatment for metastatic prostate cancer. In this case, vaccine production involves extracting a patient’s own antigen-presenting cells (APCs), a subset of white blood cells capable of activating T cells, and re infusing them several days later. While outside of the body, the APCs are incubated with immune-stimulating factors and prostatic acid phosphatase (PAP) antigen, a cell-surface protein found on 95 percent of prostate cancer cells. The APCs then reenter circulation armed to elicit an immune response against the prostate tumor. In randomized controlled trials, the treatment caused a four-month improvement in overall survival for eligible prostate cancer patients. Systemic injections of the PAP antigen and similar antigens that target other types of cancer—as opposed to treatment of white blood cells ex vivo as in Sipuleucel-T—have been shown to elicit an immune response in the tumors. But they have not yet been proven to increase survival times. Hundreds of vaccine clinical trials of all stages, including Phase 3 trials for breast cancer, lung cancer, kidney cancer, and melanoma, are now underway to evaluate whether these therapies can indeed boost the cancer-specific immune response and help patients. Another exciting and rapidly expanding category of immunotherapy is immune checkpoint blockade. Immune checkpoints are inhibitory pathways that help prevent overstimulation of the immune system. Proteins on the surface of activated immune cells turn off those cells when an immune battle is perceived to be over. The cytotoxic T-lymphocyte antigen 4 (CTLA-4), for example, is normally located inside T cells, but when expressed on the surface, it functions as a “brake” signal to the immune system. In the mid-1990s, Allison hypothesized that temporary interruption of CTLA-4’s inhibitory effects could augment the immune system and fight tumors. In preclinical models, he demonstrated that treatment with an anti–CTLA-4 antibody was able to cure mice of colon tumors, which can be made to form on the surface of the body by injecting transplantable mouse colon cancer cells subcutaneously. Early clinical studies in patients with malignant melanoma demonstrated the treatment’s safety and hinted at its efficacy. In 2010, a large Phase 3 trial showed that blocking CTLA-4 with a humanized monoclonal antibody called ipilimumab (or Yervoy, as marketed by Bristol-Myers Squibb) improved overall survival in patients with late-stage melanoma. While the response rate was low, with only about 10 percent of patients showing decreased tumor size after therapy and 18 percent showing stable disease, ipilimumab was the first agent that improved survival in these patients, who typically live only six to nine months from diagnosis when treated with conventional chemotherapy agents. Moreover, the majority of patients who did respond to ipilimumab showed improvement lasting more than two years. The FDA approved the drug for the treatment of advanced melanoma in 2011, and follow-up studies of early trial participants are showing that some patients live up to 10 years after their initial ipilimumab treatment. Phase 2 and 3 trials are now testing ipilimumab treatment for numerous other types of cancer, including non–small cell lung cancer, prostate cancer, kidney cancer, and ovarian cancer. Hundreds of vaccine clinical trials of all stages are now underway to evaluate whether these therapies can indeed boost the cancer-specific immune response and help patients. The most common adverse events associated with ipilimumab treatment are immune-related and result from the drug’s unleashing of the immune system. They include colitis, dermatitis, and hepatitis, which all result from excessive inflammation. Given ipilimumab’s low response rate, further work is needed to improve this therapy. One option may be to block other immune checkpoints, such as the interaction between the programmed cell death 1 receptor (PD-1) on T cells and its ligand (PD-L1) on APCs. Similar to CTLA-4, PD-1 is expressed on activated T cells, as well as on “exhausted” T cells that have been shut off despite the persistence of pathogens. When PD-1 binds to PD-L1, the T-cell response is attenuated. Interestingly, in addition to expression on APCs, PD-L1 has also been found on tumor cells, and it is thought to play a role in how tumors are able to evade the immune response. Early results have been promising for Bristol-Myers Squibb’s nivolumab, an anti-PD-1 antibody, in the treatment of malignant melanoma, non–small cell lung cancer, and kidney cancer, and Phase 3 trials are currently under way to investigate the potential survival benefit of this novel agent. Similar studies are also being conducted for PD-L1 inhibitors. 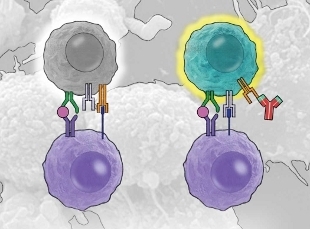 Early research testing the combination of anti–CTLA-4 and anti–PD-1 medications also point to the benefits of blocking both immune checkpoints simultaneously. In a study published in collaboration with one of us (Ariyan) in the New England Journal of Medicine last July, more than half of metastatic melanoma patients treated with the maximum combination dose of nivolumab and ipilimumab had a greater than 80 percent reduction in tumor mass, and more than 80 percent of these patients were alive a year after treatment. These promising results for a disease with so few treatment options show why immune checkpoint blockade is altering the landscape of cancer therapy. A third way to boost the immune attack on a tumor is to isolate T cells from a patient, expand them in the laboratory, then reinfuse them into the body as souped-up cancer-fighting agents. Known as adoptive T-cell transfer, the procedure was initially performed using tumor-infiltrating lymphocytes (TIL), a subset of white blood cells that have left the circulating blood and migrated into solid tumors, and which can be isolated from excised tumors. Unfortunately, disease progression in some patients is too quick to allow the time needed for the extensive ex vivo work, which can take up to a month; but for those who can wait, the therapy may be of some help. In a Phase 2 trial published in 2010, half of 20 patients with stage IV melanoma showed noticeable improvement following treatment, including two complete remissions. This strategy is limited, however, in that some patients do not have a lesion that can be excised, or the excised tumor does not have any TILs that grow or that demonstrate antitumor reactivity in vitro. 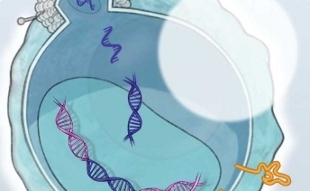 To circumvent these hurdles, researchers have developed chimeric antigen receptors (CARs) as a method of genetically modifying a patient’s circulating T cells to make them target tumor cells. CARs include an antigen-recognition domain, or modified antibody segment, which is able to recognize a specific protein on the surface of tumor cells, and an intracellular domain that activates the T cell and stimulates in vivo proliferation. Researchers have designed CARs to treat a variety of cancers, including chronic lymphoid leukemia (CLL). In one case, they isolated T cells from a CLL patient’s blood and engineered them to express a CD19-targeting CAR. CD19 is a protein that is expressed on the surface of normal B cells, as well as on malignant B cells. After being expanded in vitro, the modified cells were reinfused into the patient, who had failed to respond to all previously available treatment regimens. Following treatment, this patient, and now numerous others, was found to be cancer free. 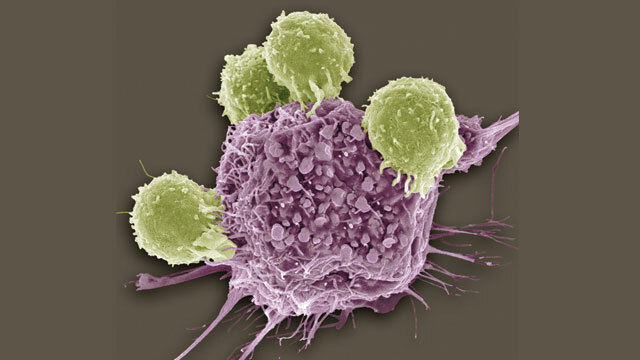 While there are currently no FDA-approved therapies involving such T-cell manipulations, numerous Phase 1 and 2 trials are underway to determine safety profiles on a larger scale as well as effects on survival for a variety of different cancer types, including leukemia, lymphoma, pancreatic cancer, breast cancer, prostate cancer, and melanoma. Immunotherapy is quickly proving itself as a powerful weapon in the fight against cancer, and research continues to further improve the effectiveness of this approach and to broaden the number of patients that are able to benefit from it. 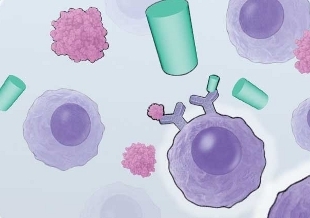 Many researchers are currently studying the effects of combining multiple immunotherapy methods, such as immune checkpoint blockade and adoptive T-cell transfer, or cancer treatment vaccines and cytokine administration. In the coming years, it will be exciting to see the profound effects that immunotherapy agents are expected to have on human survival as the hundreds of clinical trials currently interrogating this breakthrough begin to bear fruit. Jamie Green is a general surgery resident at New York Presbyterian Hospital-Weill Cornell Medical College and is currently completing a Surgery Research Fellowship at Memorial Sloan Kettering Cancer Center, where Charlotte Ariyan is an assistant attending who is conducting clinical trials on ipilimumab. S.A. Cann et al., “Dr William Coley and tumour regression: a place in history or in the future,” Postrgrad Med J, 79:672-80, 2003. N.M. Gandhi et al., “Bacillus Calmette-Guerin immunotherapy for genitourinary cancer,” BJU Int, 112:288-97, 2013. P.W. Kantoff et al., “Sipuleucel-T immunotherapy for castration-resistant prostate cancer,” N Engl J Med, 363:411-22, 2010. D.R. Leach et al., “Enhancement of antitumor immunity by CTLA-4 blockade,” Science, 271:1734-36, 1996. F.S. Hodi et al., “Improved survival with ipilimumab in patients with metastatic melanoma,” N Engl J Med, 363:711-23, 2010. Z. Chustecka, “Some melanoma patients living for up to 10 years after ipilimumab,” Medscape Medical News, Sept 2013. S.L. Topalian et al., “Safety, activity and immune correlates of anti–PD-1 antibody in cancer, ” N Engl J Med, 366:2443-54, 2012. J.D. Wolchok et al., “Nivolumab plus ipilimumab in advanced melanoma, ” N Engl J Med, 369:122-33, 2013. M. Besser et al., “Clinical responses in a phase II study using adoptive transfer of short-term cultured tumor infiltration lymphocytes in metastatic melanoma patients,” Clin Cancer Res, 16:2646-55, 2010. N.P. Restifo et al., “Adoptive immunotherapy for cancer: harnessing the T cell response,” Nat Rev Immunol, 12:269-81, 2012. D.L. Porter et al., “Chimeric antigen receptor–modified T cells in chronic lymphoid leukemia,” N Engl J Med 365:725-33, 2011.